The Iowa legislature reconvenes this afternoon with taxing and spending decisions looming. Republicans who hold a majority of seats in the House and Senate haven’t agreed on how deeply to cut taxes. Once that decision’s made, Senate Republican Leader Jack Whitver says they’ll know how large next year’s state budget plan will be. “We’re working close with the House and the governor on establishing targets and making sure the tax plan that we want to get passed this year fits within that,” Whitver says. A public hearing on the governor’s tax plan will start at 5 p.m. tonight in the House. Republicans in the House say they’re using the tax proposal Governor Kim Reynolds released in February as a starting point for their discussions. The Senate GOP tax plan passed earlier this year called for a billion dollars in yearly cuts, but Whitver is indicating Senate Republicans now “aren’t that far” from the lower number House Republicans and the governor favor. 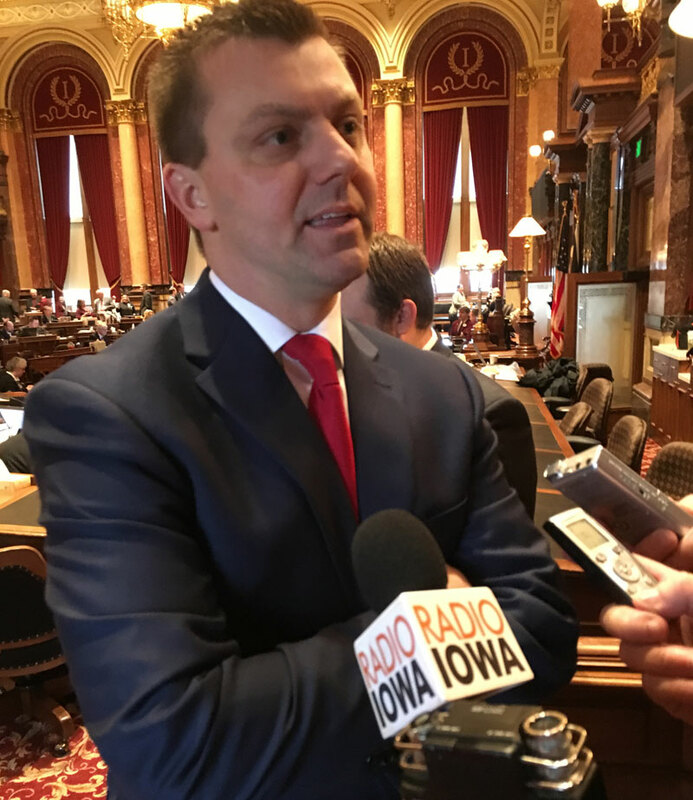 “The bottom line is we feel that we need to get a good, solid tax plan that puts money back into the pockets of hard-working Iowans and, as soon as we get that, the budget can fall into place,” Whitver says. As soon as the legislature adjourns, Whitver and other GOP legislators will hit the campaign trail to seek re-election in 2018. 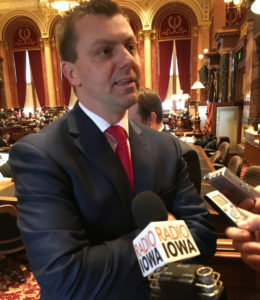 Iowa Democratic Party chairman Troy Price has said the Republican-led legislature’s decisions the past two years have fueled grassroots enthusiasm, leading a record number of Democrats to run for the legislature. And the Iowa Democratic Party recently issued a written statement calling the GOP’s tax proposals a “special interest give-away.